Traveling to new places often drives us to discover something special about that new place, whether it’s the most well-known attraction in town, or a large landmark that is geographically recognizable. In the Greater St. Cloud area, there are many locations that are specific to Central MN, and that make for really breathtaking photos. 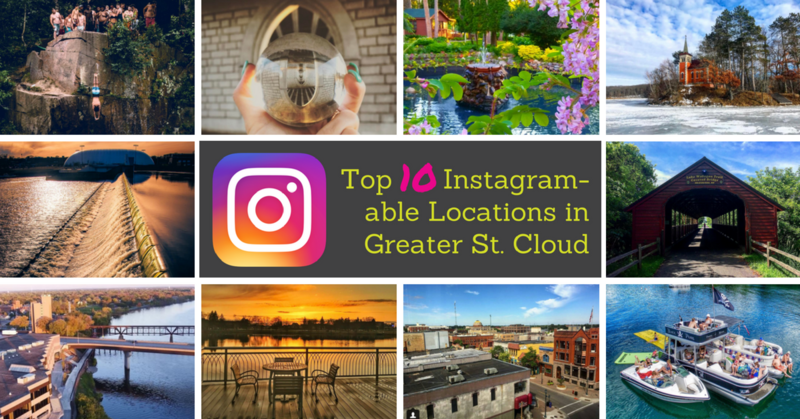 Aside from the hundreds of restaurants in the area, here is a list of the Top 10 Most Instagrammable locations around Greater St. Cloud. 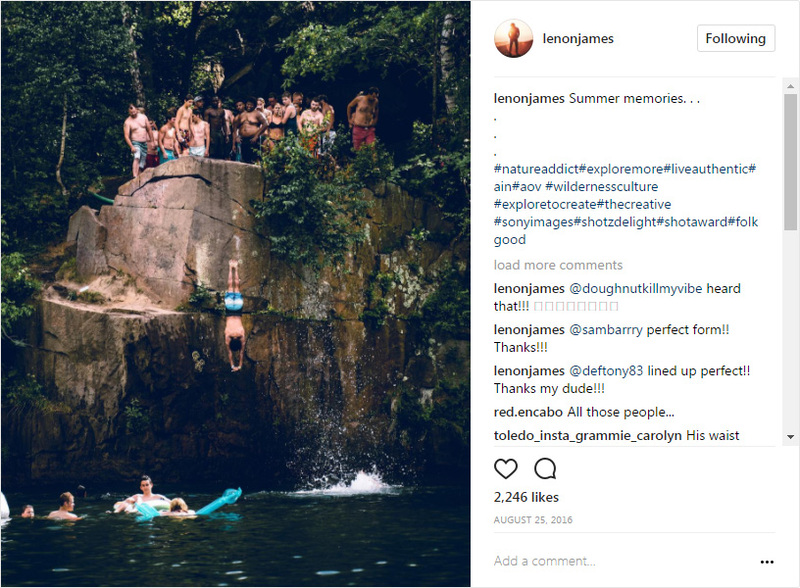 Named a “Top 10 Swimming Hole” in the nation by Travel Channel in 2016, Quarry Park and Nature Preserve is a lasting legacy of the industry that put St. Cloud on the map. This park was formed around 20+ former granite quarries, some of which now serve as fishing spots, rock climbing walls, and even swimming holes. Take a stroll through the miles of park paths, and you’ll find so many photo opportunities you won’t be able to choose just one. 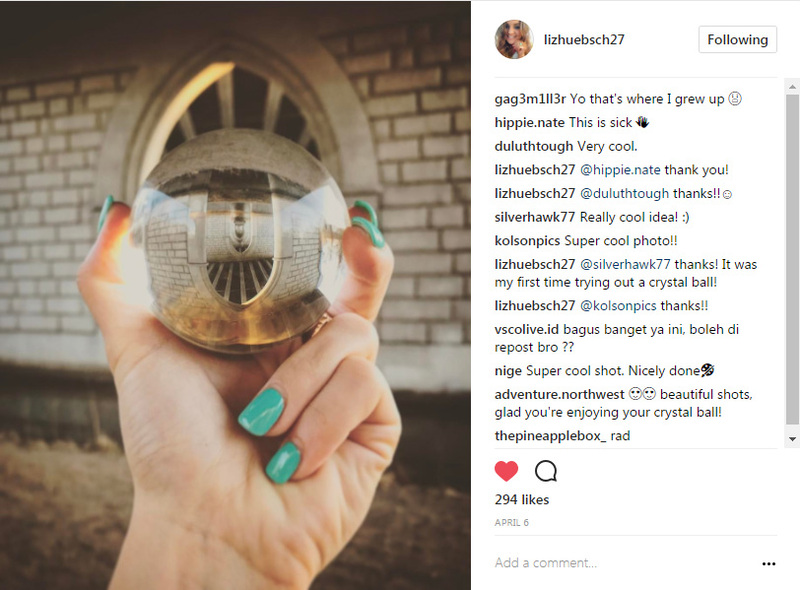 From ghosts of industry past to new life and natural attractions, Quarry Park is an Instagrammer’s dream. While this park itself is not well known, there is one location within it that has become one of the most photographed spots in the Greater St. Cloud area. Just under the Highway 15 “Bridge of Hope” that crosses the Mississippi River, a tunnel view presents itself as a hidden gem for photographers. Take a stroll around this park and you’ll find yourself looking through a reflective tunnel, and you won’t be able to resist a photo op. This park also offers other beautiful views of the Mississippi River and the scenic banks around it. One of the most historic and well-known landmarks in the St. 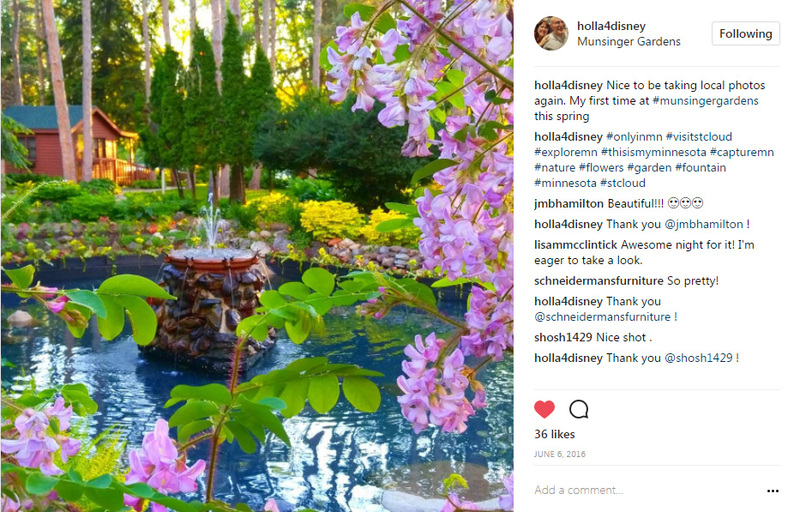 Cloud area, Munsinger and Clemens Gardens are the result of a romantic story coupled with the dedication of many volunteers and the understanding of the city. Take a stroll through the manicured paths and remain in constant awe of the beauty that hundreds of thousands of blooms provoke. From the rose gardens to one of the many water features, you will not need a filter to capture the beauty that these gardens exhume. If the magical wishing well doesn’t reel you in, the live peacocks and proximity to the Mighty Mississippi will. Mystically hidden across Lake Sagatagan in the cover of birch and pines lies the Stella Maris Chapel, an 1872 addition to the shoreline. Constructed to honor Mary, Mother of God, it was originally built on an island, but with lowering water levels it is now situated on a peninsula that is reachable by wooden walkway. Visitors can reach the chapel through a path known as the Chapel Trail, that winds along the shorelines of “Lake Sag,” offering scenic views of the quiet body of water through a variety of tree species and over stone bridges and walkways. Experience the power of 3,600 cubic feet of rushing water per second up-close at the St. Cloud Dam at Riverside Park. This hydroelectric dam generates over 48 million kilowatt hours of electrical energy annually, which is equivalents to burning 7,000 tons of coal. Located just south of the University Drive bridge, spectators can get up close to the dam by visiting Riverside Park and experiencing the dam from the nearby landing. It’s quite the sight, and makes for some really stunning photos. The Wobegon Trail itself has a fun history, with its name originating from Garrison Keillor’s “Prairie Home Companion” as a fictional lake name. 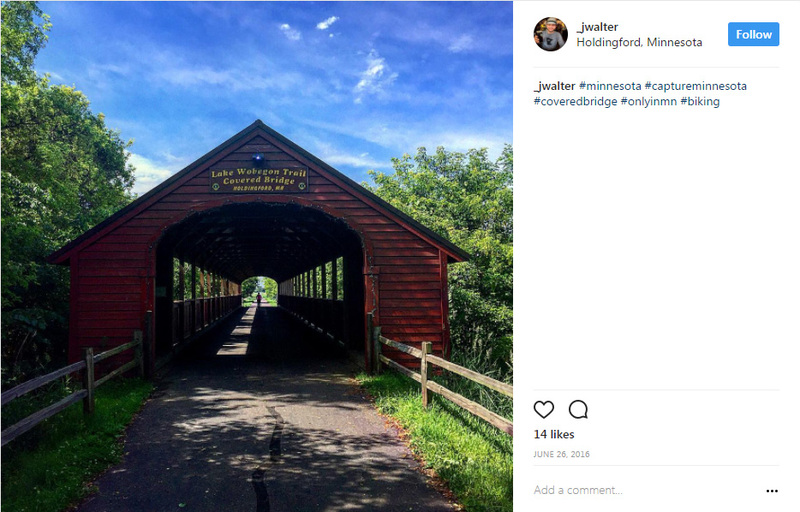 But a little known fact is that the Holdingford stretch of the Lake Wobegon Trail is home to the longest covered bridge in Minnesota. Built by the Holdingford Lions Club, this is a popular stop for both locals and visitors to snap some truly unique photos. Aside from the bridge itself, the trail offers many scenic views and sing-song sounds of rural Minnesota. A new addition to the downtown landscape allows walker, bikers and anyone in between can now walk beyond the banks of the Mississippi River thanks to the Beaver Island Trail Extension in Downtown St. Cloud. 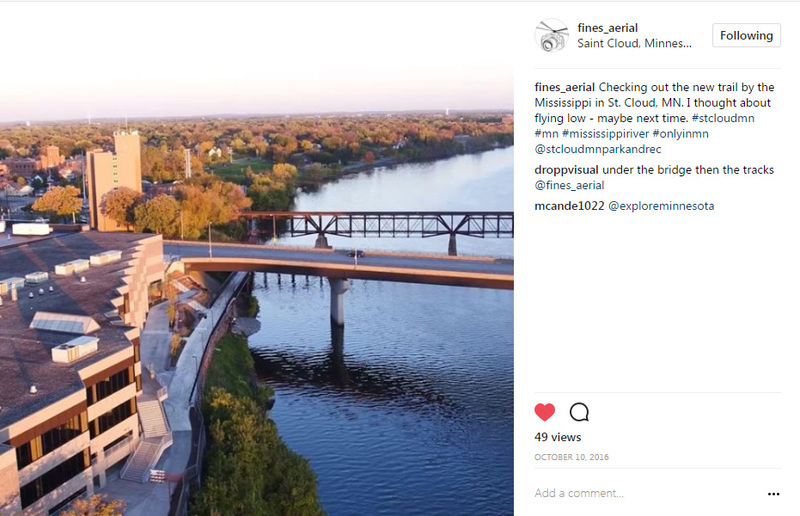 Located along the river stretch from Cathedral High School football field to the Highway 23 bridge, this suspended bridge offers stunning views from a unique angle of the river, the bridges over it, and the urban landscape of downtown around it. Perfect for a short stroll and a photo session, this new hotspot is a must-see for visitors, and a loved attraction for residents. When you think about St. Cloud, you might think of the urban downtown area, the stretches of retail opportunities, or the many higher education options that are sprinkled about town. What you may not think of, is a lake. Lake George is a small part of the downtown landscape, but a major part of St. Cloud life. Surrounded by walking paths, water features, statues, seating areas and scenic views of the St. 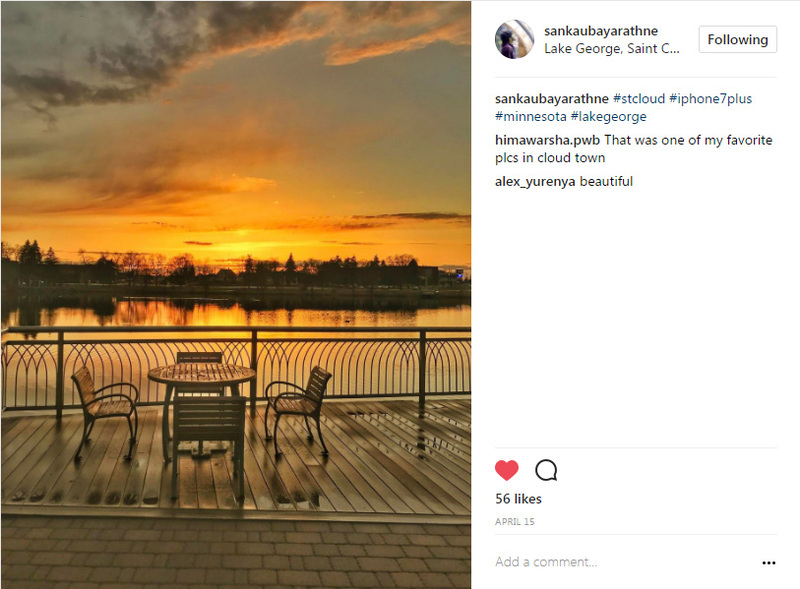 Cloud skyline, Lake George is the epicenter for “urban meets nature” in St. Cloud. There is even kayak and paddleboard rental available on the lake during the summer, and skating during the winter. 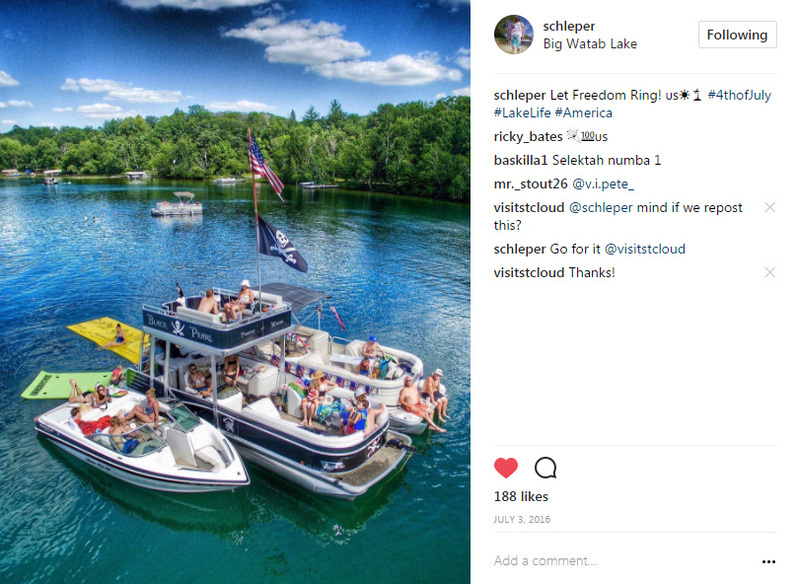 Lake George is also adjacent to Eastman Park, which is home the summer concert series, “Summertime by George!” – a weekly free event that draws thousands to the area. It’s hard to nail down just one area that is quintessentially St. Cloud, but the downtown area comes close. With dozens of historic buildings, hundreds of local small businesses, retail and dining options to please any traveler, and entertainment venues from theaters to concert stages and more, downtown St. Cloud is a buzzing epicenter for fun, exciting activity. 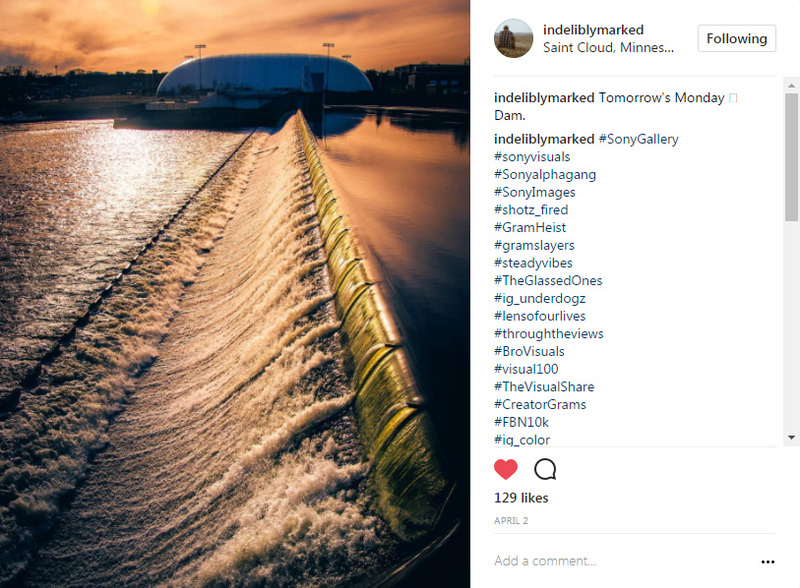 Photographers will delight in the multitude of aesthetics that the downtown area has to offer, and with the proximity to the Mississippi River, it’s simply not an area that you can easily avoid.